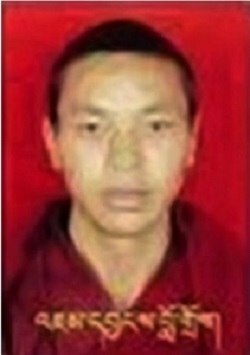 We are writing to you to call for the immediate release of Jamyang Lodru (江央洛珠), who was detained on 15 May 2016 in Sichuan Province and has since been sentenced to three years in prison on unknown charges. Jamyang Lodru is a monk from Tsenang Monastery in Ngaba County. Following his arrest in May 2016 in Barkam, he disappeared and appears to have been held incommunicado. He has since been sentenced to three years in prison. The reason for Jamyang Lodru's arrest and subsequent imprisonment have not been publicly disclosed. Holding Jamyang Lodru without charge and in incommunicado detention are violations of the Chinese constitution and international law. The lack of access to Jamyang Lodru and information on his current condition and location also raise concerns that he may be subject to torture or other forms of ill-treatment. With no clear information on Jamyang Lodru 's alleged crime, we are concerned that he had been arrested and imprisoned merely for expressing his opposition to China’s policies in Tibet. This is a clear violation of Jamyang Lodru's right to freedom of expression under international law, as well as Article 35 of the Chinese constitution.